I have been waiting to write a review of this album for over two years now, but mostly, I’ve been waiting for the day to finally blast this record out loud in its full beauty. 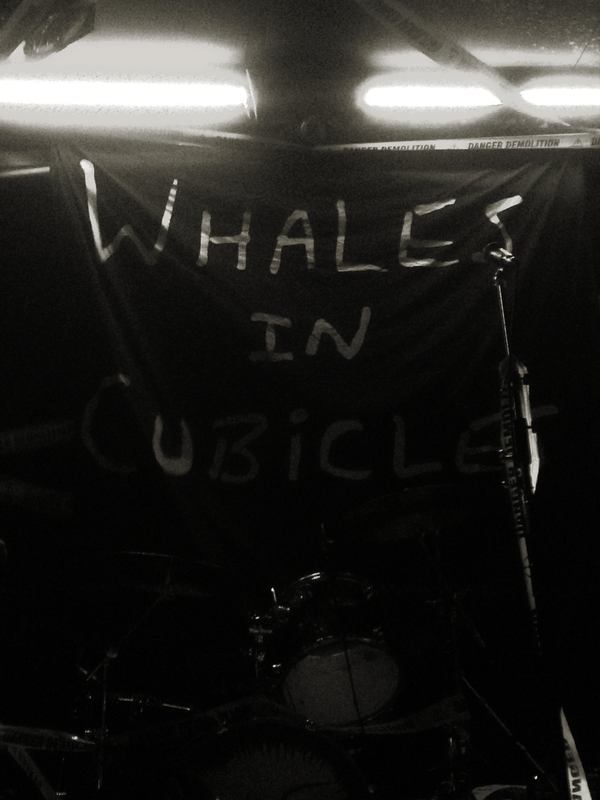 And today is the day when Whales In Cubicles‘ debut Death In The Evening officialy comes out, so excuse me if this review might sound a bit personal, but as some of you may have noticed, I’ve been a huge supporter of the London based 4-piece ever since I first saw them live at the Green Door Store in Brighton a couple of years ago. I immediately fell for the band’s raw sound and a unique realness in their music. There was a real heart in the music then and there is a real heart in it today. 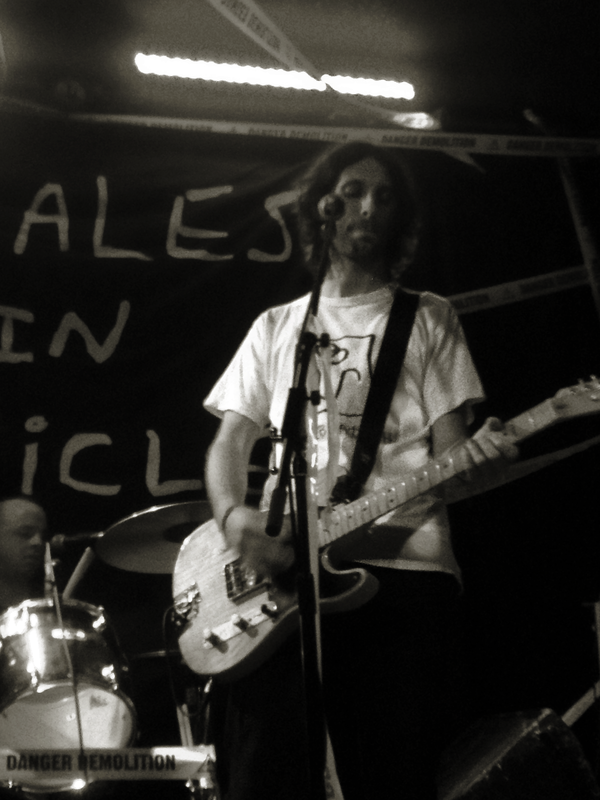 I have seen Whales play at various venues in London and Brighton a number of times, and with each experience of watching them rocking the stage, nevertheless the line up, my admiration towards their sound and lyrics grew closer with each time. And now, I am extremely proud to see the guys finally unleash the beast of a debut record extraordinaire for everyone to hear. Death In The Evening dazzles with ten remarkable tracks and each one of them carries its own message. The record kicks off loud and clear with an opening killer riff in Yesterday’s News, followed by We Never Win – a striking favourite of a tune that shows off the outspoken songwriting of the lead singer Stef Bernardi. Things slow down with the hypnotizing All The Pretty Flowers and most definitely one of the greatest tracks produced by the band. Strong melodies, fierce guitars and a true lyrical mastermind flow through the whole record and whether you’re taken to the heavier side and let your hair down with Golden Medal and Disappear, having a sing along to Nowhere Flag or simply absorb the intense beauty of Across America, Wax & Feathers, I knew It and Find Your Way; the fact is you will find yourself surrounded purely by a raw, mind-altering music mastered by one of the best and realest bands to hit the current UK music scene. So don’t you dare thinking that honest guitar music is dead because you have it right here in front of you. So go on, don’t be shy and grab yourself a copy. Death In The Evening is a must in everyone’s record collection. 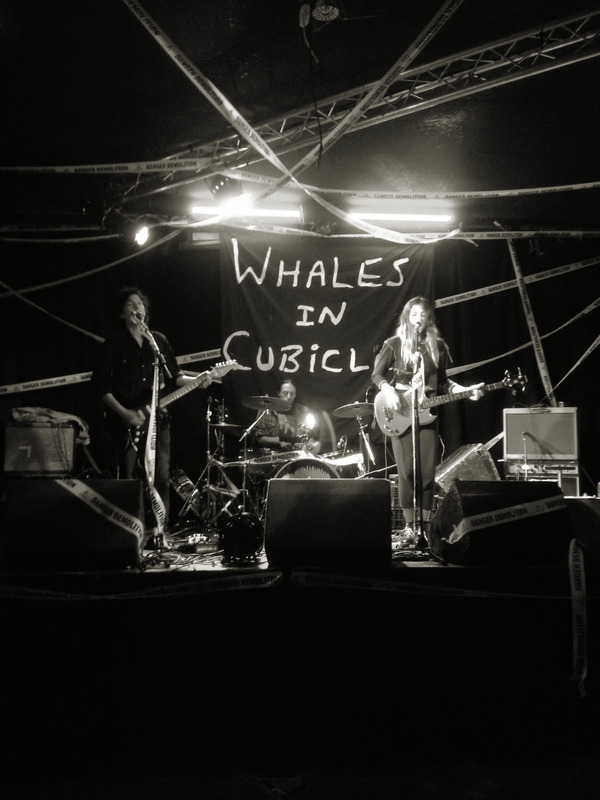 Whales In Cubicles unleash a new music video for their stunning new single All The Pretty Flowers (out February 3rd), a track taken from their debut album Death In The Evening, which is set for release on February 10th via CLUB.THE.MAMMOTH. Pre-order Death In The Evening here and stay up to date with all the WIC news on their Facebook and Twitter page. MGMB brings you another exciting playlist featuring a bunch of not-to-be-missed bands, ready to wow you with their remarkable music skills and a pure rock’n’roll. Remember to turn it up! 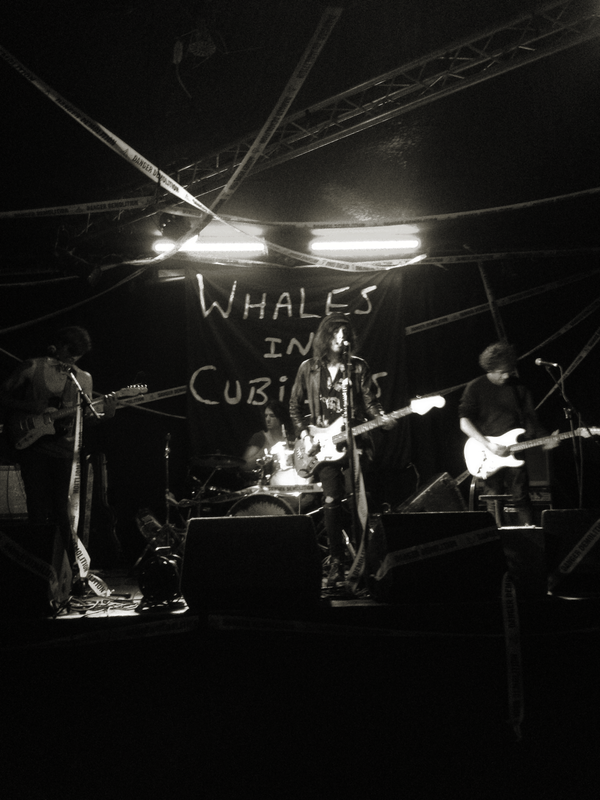 Whales in Cubicles release a great new video for their upcoming single Disappear, out 17th June. You can pre-order the single here. The band plays a headline show in London this Thursday 6th June at Hoxton Square Bar and Kitchen. See details.